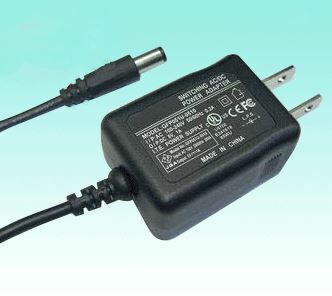 In stock tiny AC Switchmode 12 watt regulated power supply, with 3.3 volt 3 amp DC output, 3.3 volt AC wall mount adapter. Tiny 3.3 volt DC wall-mount Universal AC regulated power supply, 3000 mA maximum. COMPLY SAFETY STANDARDS STANDARD FILE NO. LPS Limited Power Source L.P.S. ITEM SPECIFICATION OR TEST CONDITION min. typ. max. 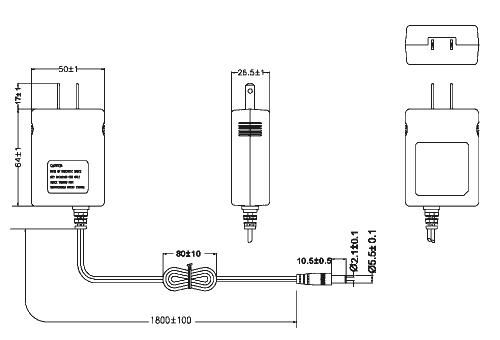 Universal input switchmode power supply with fixed 3.3 volt output voltage, 3 amps or less.